Ride into the castle and impress your princess with a costume that will leave her feeling transported to medieval times. You’ll look like the dashing hero of a fantasy adventure when you’re suited up in the Knight to Remember Mens Costume. 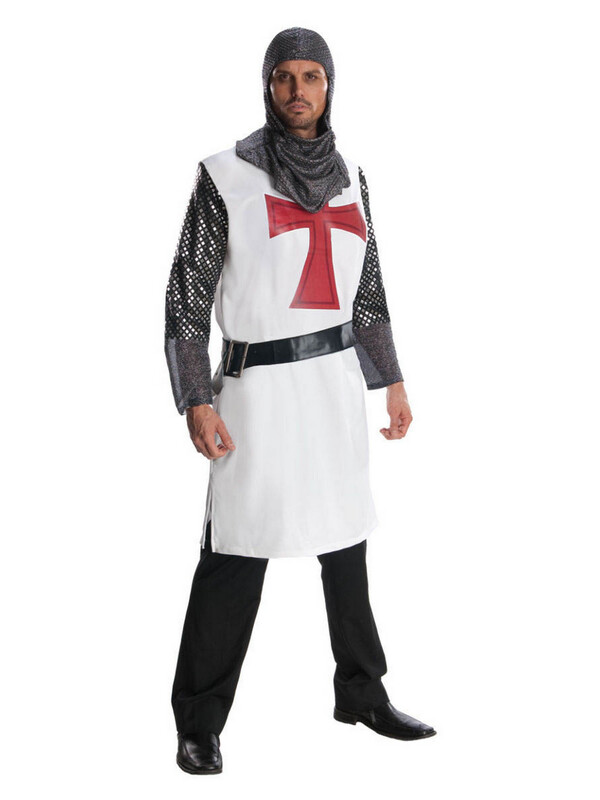 This handsome looking outfit features a tunic with faux chainmail sleeves, and a knight headpiece that will have you feeling ready for an honorable duel against the black knight.